Experience Bodrum - the hidden pearl awaiting to be discovered. Do you know the feeling when you just want the days to last forever?! This is one of these days - softly gliding through the water. Sail away! With a Yacht Charter Bodrum. With us! Sailing costs include many things and not only renting a boat, as many would think. They depend upon many factors. Price of the boat rent refers to weekly rent, usually from Saturday to Saturday. Thus, the price will depend upon the type of the boat, the boat's age and the period of sailing. If you decide to rent a skippered or crewed boat, you need to pay the fees for each member of the crew - the skipper, the cook, the hostess and that includes their food and drinks. Other costs include: final cleaning of the boat, transit log, marine fuel, the refundable insurance deposit, mooring fees. In case you want to hire additional equipment, that requires extra cost - an outboard dinghy engine, sails, safety net, fee for pets, participation in regattas, etc. The most popular catamaran brands are all the established French manufacturers present on the market for a number of years. They are very popular with sailors due to their safety, stability and overall performance, as well as their spaciousness and privacy they offer. They are easy to navigate and maneuver. 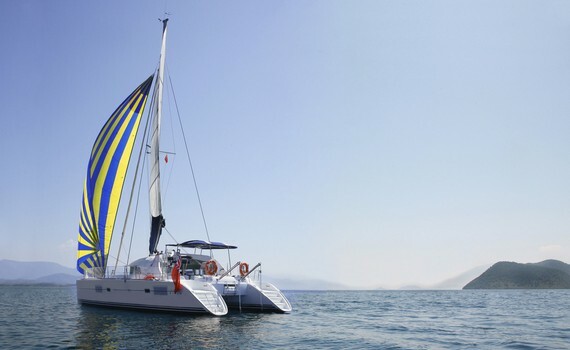 Lagoon catamarans range from 38'-45' feet in length (up to 67'). They are more designed for the charter business, where they can fit 4 double-bed cabins onboard. Fountaine Pajot catamarans have a size range from 36'-65' feet in length. 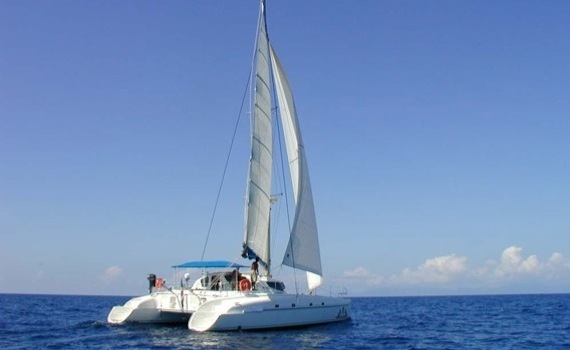 Nautitech catamarans are fast, elegant easy to navigate and they vary from 36'-49' feet in length. Their panoramic view from the cockpit is wonderful. A popular model among sailors because of its great balance, sleek styling and speed. Easy to manoeuver because it is light in weight. 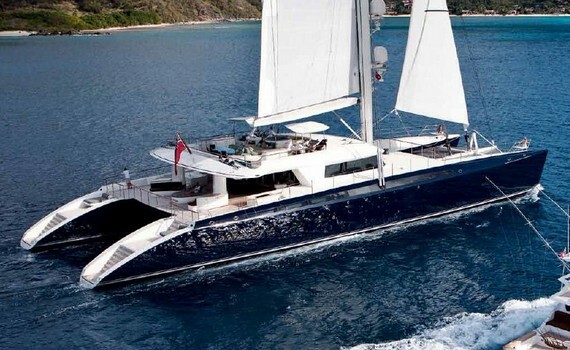 One of the most popular cruising catamarans of all time. Get ready for adventure! Easy to maneuver. Ideal for sailing holidays accommodating 10 guests in 4 cabins. Ergonomically designed and comfortable interior. If catamarans are your choice for a perfect sailing vacation, read more about them on Sailing Catamaran Yachts. 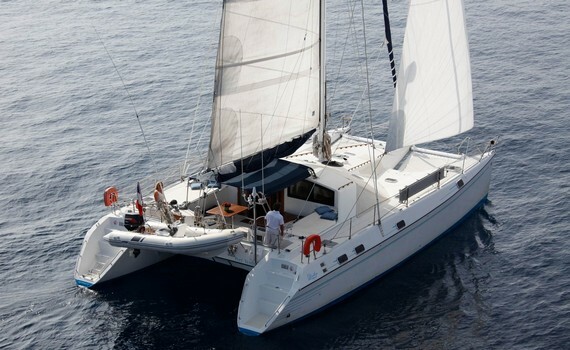 Find out why you should choose a catamaran as your charter option, get tips on how to select a perfect catamaran to satisfy all your sailing needs, explore the types and brands of catamaran sailing yachts, discover how to sail a catamaran and what spots to charter your catamaran in. We provide you with all the information you need to make your charter choice easier!